Create professional responsive touch-enabled CSS drop down menus in a few easy steps. We have put great effort into making the Advanced CSS Drop Down menu simple to set up and modify, and hope that you will appreciate the flexibility and intuitiveness of the add-in's GUI. 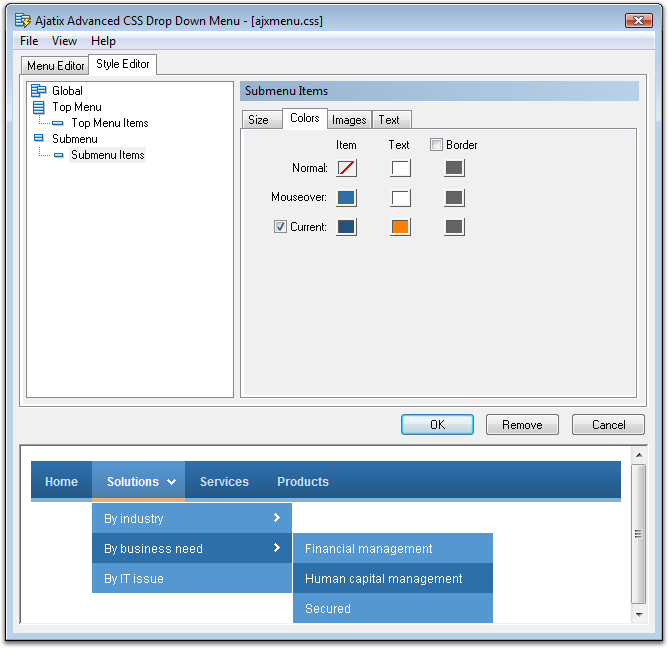 Re-enterable - re-enter the add-in GUI to modify your menu any time later. 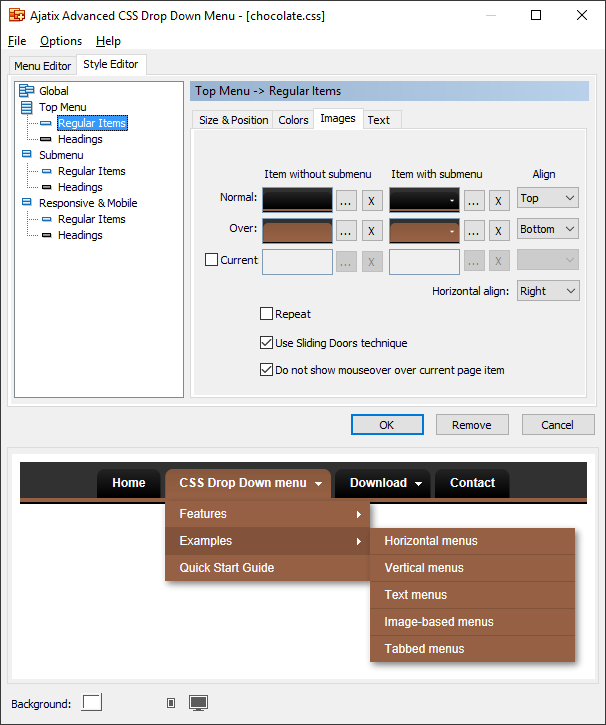 The Advanced CSS Drop Down Menu add-in saves you time and money and pays you back within a short time. 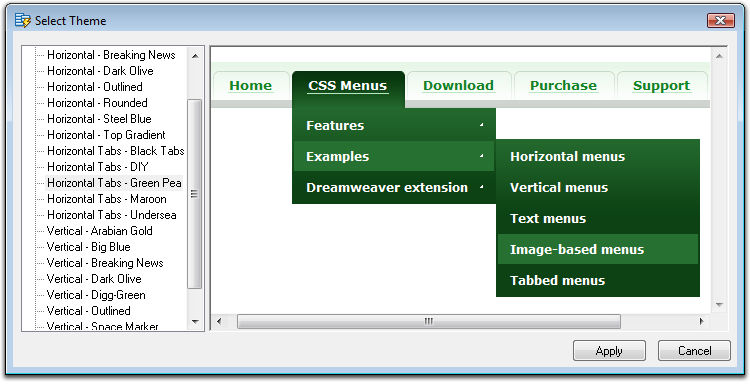 Unlimited number of sites - use this add-in to generate CSS menus for as many sites as you need.